This lesson is the fourth in the Whale Done Socks skill building KAL and we will be knitting the first half of the shadow wrapped short row heel. If you need to review any lessons, links are available in the KAL Introduction. If you would like a printable copy of the entire pattern, the Whale Done Socks Pattern is available in my shop. It's no secret that shadow wrapped short row sock heels are my favorite. I use them frequently in my patterns. But what makes them so great? They are worked identically in either toe up or leg down socks. Unlike heel flaps, there are no picked up stitches. You work them as you are knitting the sock, not later like an afterthought heel. After dividing off your heel stitches, there's virtually no counting. With the shadow wrapped method, as compared to other short row techniques, there is no gap at the side of the heel that needs to be corrected. Here's how to knit the first half of the heel. Starting from the side of the sock, the heel is worked using the Shadow Wrapped Short Row Method, across half of the sock sts (32 sts). Just a reminder, tw st stands for twin stitch. Row 1 (RS): K 31 tw st in next st, turn. Row 2 (WS): P 30, tw st in next st, turn. Row 3: K to 1 st before tw st, tw st in next st, turn. Row 4: P to 1 st before tw st, tw st in next st, turn. Repeat Row 3-4 until there are 11 twin stitches of each side of the heel and 10 regular stockinette stitches at the center of the heel. Don't forget to post a picture of your sock on Facebook and/or Instagram with #thechillydog and tag me @thechillydog. Then share a link to your post on the KAL Giveaway page to earn entries for a chance to win a knitty treat. 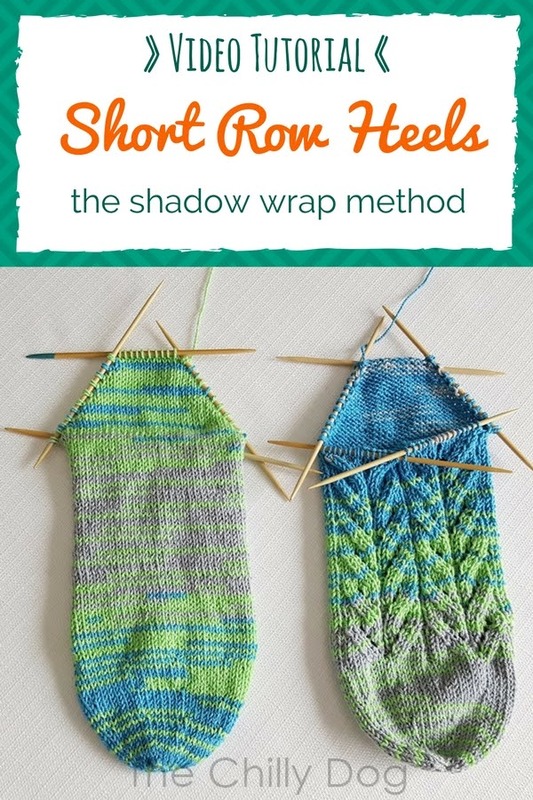 In the next lesson I'll show you how to finish the Second Half of the Shadow Wrapped Short Row Heel. 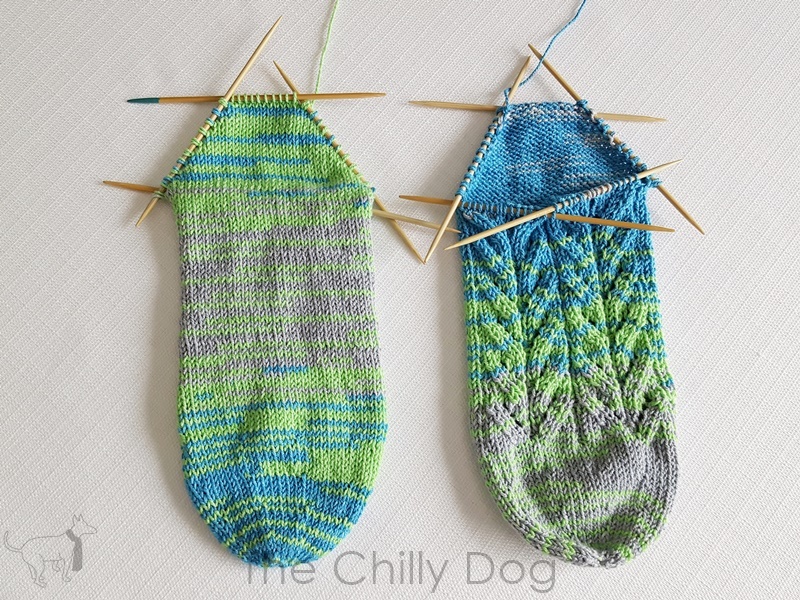 Lean how to knit the first half of a shadow wrapped short row sock heel.